I found this video a good while ago and came back across it so thought it was worth sharing. It is a news piece from the Northwest News Network about the horticultural therapy program for elderly residents at the Norwood Assisted Living Centre in Chicago, Illinois. Arguably not horticultural therapy, although considering Monty Don’s holistic approach to horticulture and the environment it would be a difficult argument to win. Anyway, the TV series that Monty Don did called ‘Fork to Fork’ is available to watch on YouTube. I can’t remember if it was ever shown on BBC but these versions appear to have been shown on Finish state television. There were six episodes in all and an accompanying book, which I can fully recommend. I thought it was worth making a post on horticultural therapy films. I don’t think either has ever been actually referred to as being ‘horticultural therapy’ but they certainly are. 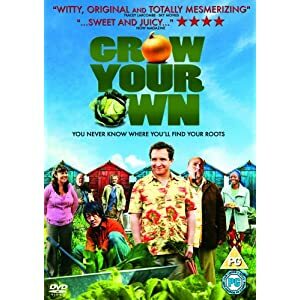 Excellent British made film about political refugees being allocated an allotment in Northern England and their interactions with the local traditionalist allotment gardeners. It is more like a TV movie than a film for the cinema and has a considered approach (others might say “slow”). Anyway, I enjoyed it and it certainly worth watching as John Henshaw is always entertaining. Based on a true story about a gardening therapy program for prisoners in England which stars Clive Owen and Helen Mirren. Made by an the American director Joel Hershman who apparently heard about the story of six prisoners from Leyhill prison in England who won a gold medal at the Chelsea flower show. I must admit I found it a bit obvious and scripted. The horticultural inaccuracies lead me to become somewhat detached from it. Don’t take my opinion for it, have a watch of it yourself. This is a first, but rather meagre attempt to post from a smartphone. An exciting prospect if it works as I’ll be able to update on the move. BTCV (or TCV) Green Gyms Under Threat? Today I attended a meeting with the British Trust for Conservation Volunteers, or The Conversation Volunteers (TCV) as they are now known (I still haven’t looked into the purpose of the re-branding) about their ‘Green Gym’ projects. The idea behind the Green Gym is that you work on a TCV project for exercise and improve the environment at the same time. It is about being physically active and contributing to your local environment. In my experience of the Green Gyms local to Wakefield – Eastmoor, Lupset and Hemsworth, they offer much more than this. A place to be, people to be with, a role and healthy eating to name a few. I am under the impression, but not quite sure why, that the funding for the Green Gym projects runs out in April 2013. I might be wrong, I hope I am. In the current financial climate often many vulnerable people do not having the funding to access paid day services, so places like the Green Gym, which do not charge directly are invaluable to people. What we need is more like this, rather than less. Did someone mention “Big Society”? I believe they are in a consultation process with services and service users at the moment as to how to take the project forward so I encourage you, if you have had any involvement or suggestions to get in contact with them. Here’s hoping they continue as they are a much needed and valued. Interesting article on the Guardian website about urban farms and community gardens and the health benefits they bring. 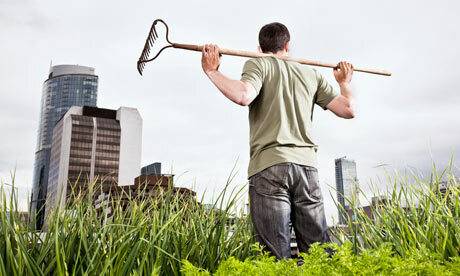 The author suggests people taking an extra day off work as ‘gardening leave’ and invest that time in urban gardening. The user comments at the bottom are not so favourable, but I generally find with all news items that you can comment on, regardless of the subject, it is rarely overwhelmingly positive. Today I came across this association. Not quite sure why I wasn’t aware of them before. Still perplexed by that. Anyway, I hope to attend their first AGM in November 2012. To develop and promote the profession. To be the representative body for Horticultural Therapists and practitioners of Social and Therapeutic Horticulture in England, Wales and Northern Ireland. To promote, maintain and improve the theory, practice and benefits of Social and Therapeutic Horticulture. Most importantly I feel is that their long term goal is to create a voluntary professional registration for social and therapeutic horticulture practitioners in the UK. This is something which is most needed in the UK in order to create a more professional and scientific approach to the use of horticulture as therapy. Sadly, the UK lies behind both the USA and Canada in this respect. How close the professional registration that they are after I do not know, but ill hopefully find out in November. However I have heard from a contact in Vancouver that a member of the group recently spent some time in Canada looking at the Canadian Horticultural Therapy Association regarding how they created professional registration and examining policy documents which all sounds like it is heading in the right direction.